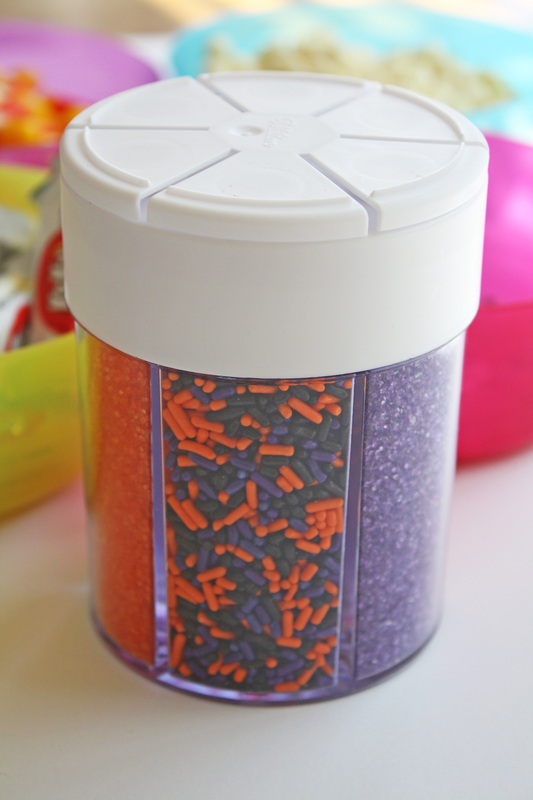 It's really easy to make and your kids are going to love helping out because there's no cooking involved. 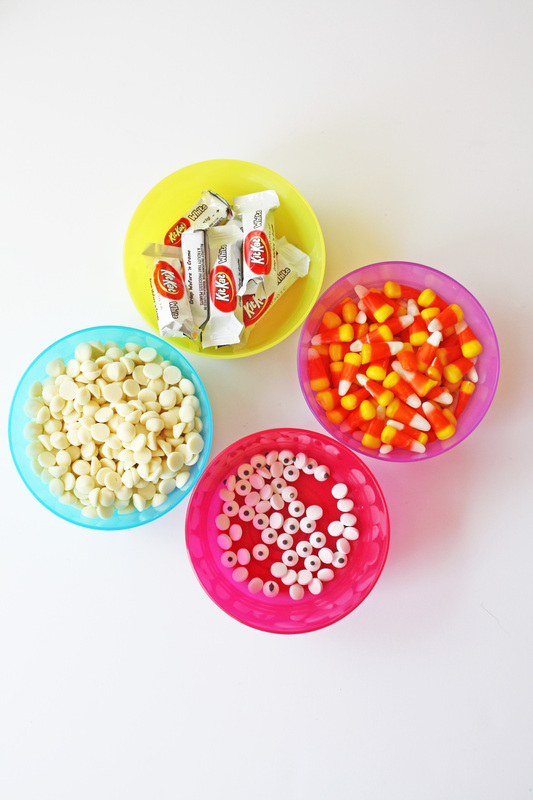 Feel free to add any other Halloween candy you might have at home. Some of these links may be affiliate links. I may make a small commission if you click and buy, at no expense to you. 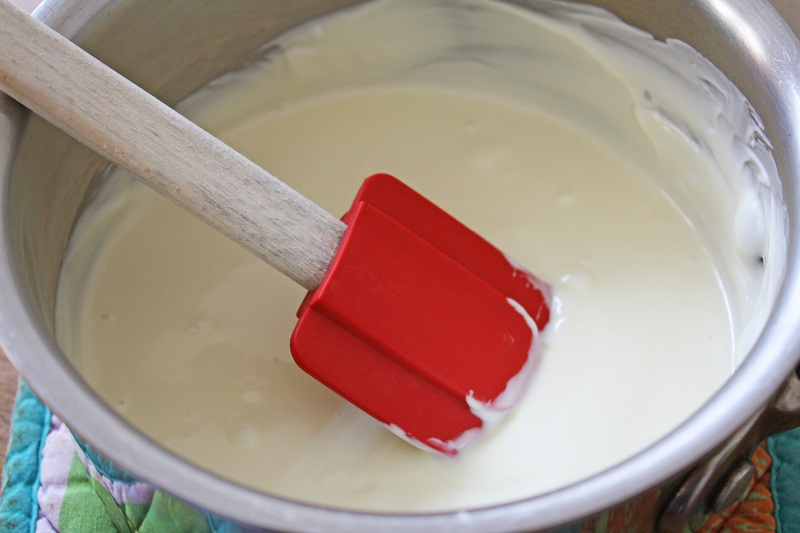 Melt the white chocolate in a double boiler, or in 30 second intervals in the microwave (mix between intervals). Be careful not to burn the chocolate. 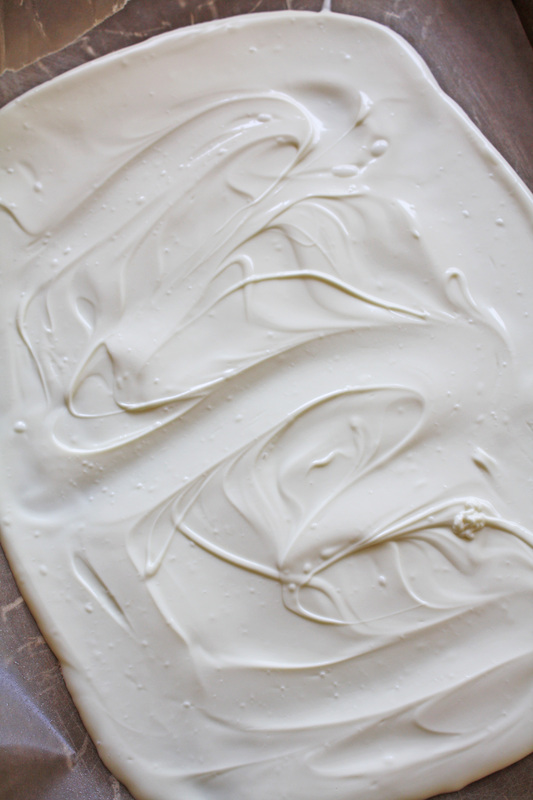 Pour white chocolate on a parchment paper lined baking sheet. Spread the chocolate to desired thickness (I went with ¼”). 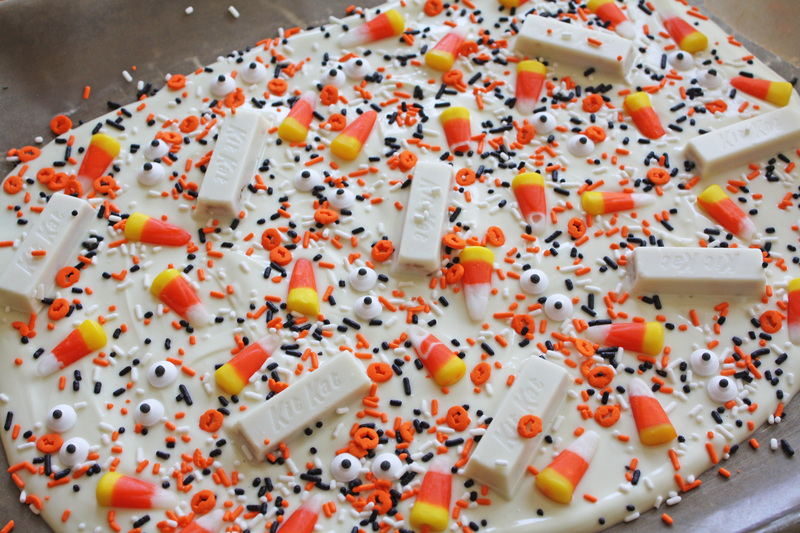 Immediately top the melted chocolate with candy eyeballs, white chocolate Kit Kats, candy corn, and Halloween sprinkles. 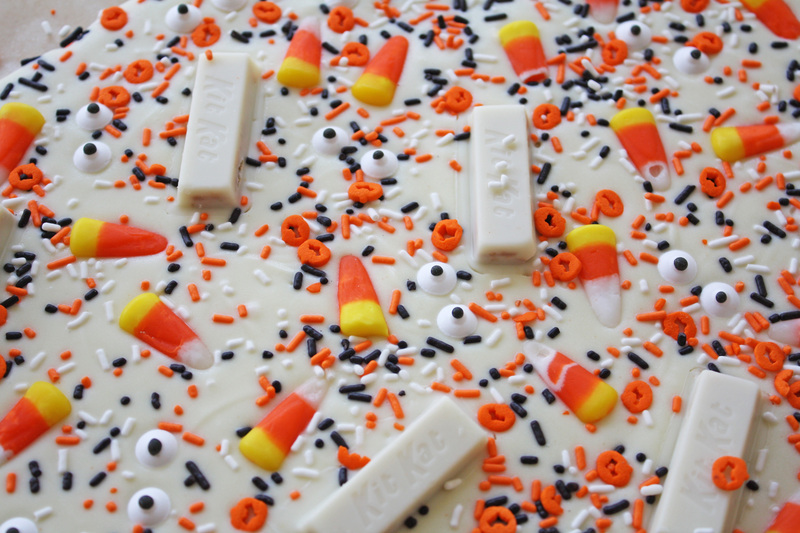 Chill the candy bark in the refrigerator for 20-30 minutes until hard. 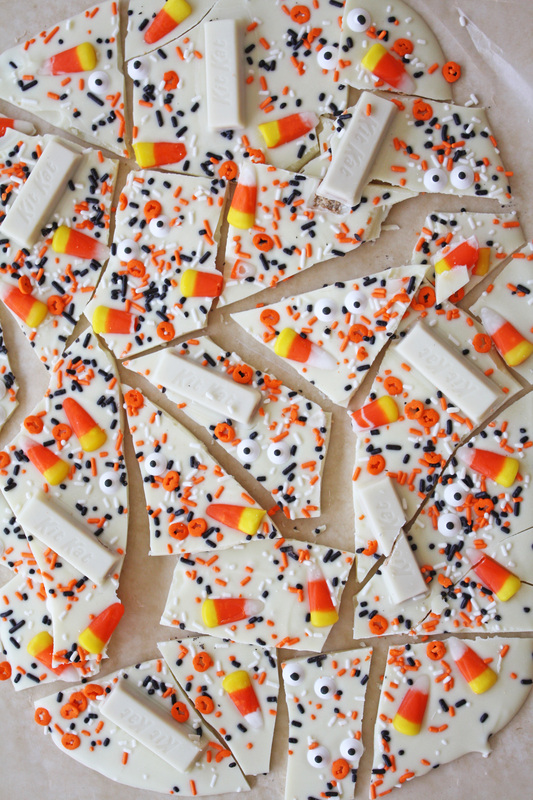 Once chilled, break up the ghostly bark and serve. 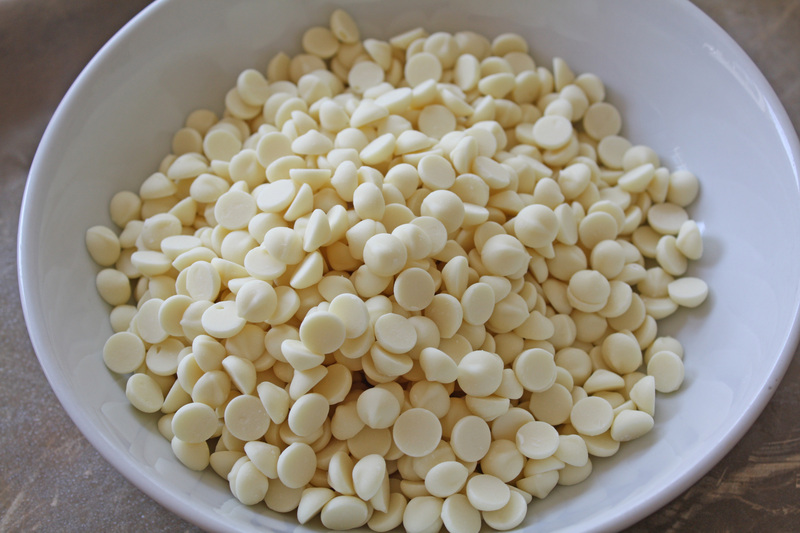 Store the remaining white chocolate bark in an airtight container or Ziploc bag in the fridge. Wouldn't your kids love this? I'm an adult, and I already do!